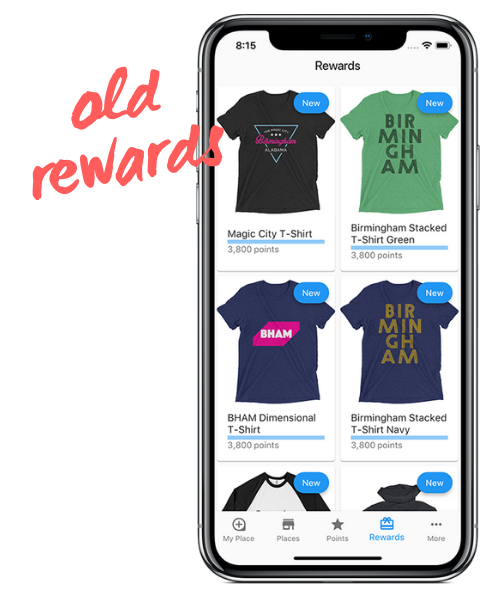 We have made a pretty big change to the rewards store that has been getting a lot of praise from our users. We initially started out with local Birmingham gear like T-shirts, coffee mugs, hats, and sweatshirts. We quickly realized that while those rewards are great, we needed more of a wow-factor. Something that users could really get excited about. Now we are introducing new rewards every few weeks like gift cards, concert tickets, and local Birmingham adventure passes. This is a good way to continue passing on more business to local venues and give our users something to bigger to use their accumulated points for. These rewards will be updated regularly with seasonal items and new business-oriented merchandise. 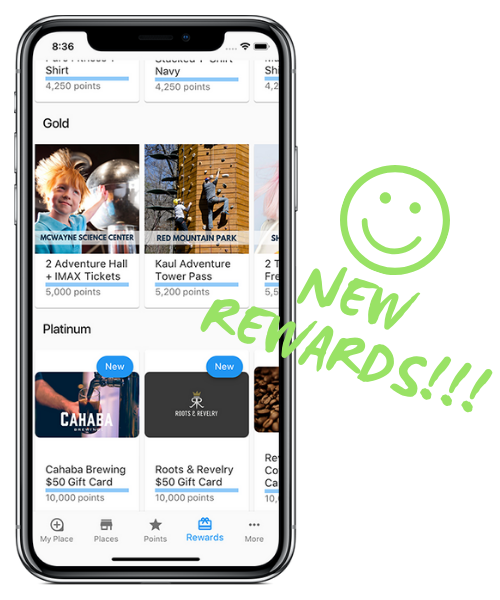 We want to make sure that the rewards stay appealing for a wide range of users.